The Handbook of Trauma is an invaluable resource for medical staff and students working in trauma centres or emergency rooms. Clearly presented for quick reference, the text offers practical guidelines, supported by drawings and other figures to explain the subject matter. 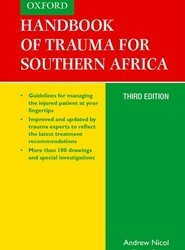 The book is suitable for MBChB students taking courses in trauma and emergency medicine, as well as for students of programmes such as BTech in pre-hospital emergency care, MMed, FCS or MPhil. In addition, doctors, primary health care workers, nurses and emergency medical services personnel will find value in this clear and practical approach to trauma. The Handbook of Family Medicine is an essential guide for medical generalists working in an African context. This valuable educational resource is produced by the South African Academy of Family Physicians, and includes contributors from the Departments of Family Medicine in South Africa. The text is directed at undergraduate medical students and registrars, who are completing postgraduate training in family medicine, and is a useful resource for family physicians, general practitioners, interns, medical officers, clinical associates, clinical nurse practitioners and allied health care workers in the primary care setting. 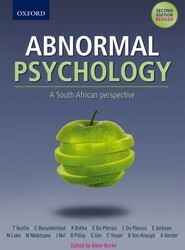 First published in 2000, the Textbook of Psychiatry for Southern Africa 2e is a textbook for medical and allied health care students in Southern Africa. 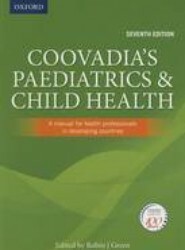 First published in 1984 and now in its seventh edition, Coovadia's Paediatrics and child health 7e is a comprehensive introductory textbook, highly regarded by academics and students alike. This tried and tested best-seller is an introduction to paediatrics and child health emphasising a primary care approach from a southern African perspective to enable practitioners to deal effectively with local health problems. The book maintains a problem-based approach to facilitate a full evaluation of the sick child from a holistic perspective. What is the nature of epidemiology? Why is epidemiology so important in the context of health, and particularly public health, in South Africa? How can it help us answer important questions in clinical medicine and public health? 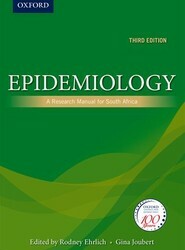 Epidemiology: A Research Manual for South Africa 3e provides lecturers with useful resources on which to base introductory Epidemiology and Research Methods courses and helps to answer these questions. The main burden of disease in most African countries presents as emergencies, yet emergency care is massively neglected. 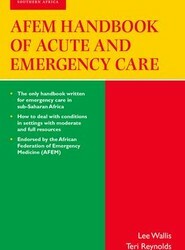 The AFEM Handbook of Acute and Emergency Care equips healthcare workers in the sub-Saharan Region to investigate and manage patients who present with a range of acute conditions. Child Health for All takes a broad approach to child health, looking at the variety of factors affecting a child's well-being in the context of a developing country, more particularly South Africa. 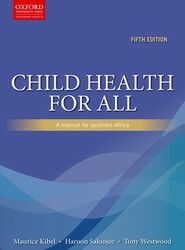 It discusses social issues like poverty, unemployment, and violence as matters that influence the health of children. The focus is specifically on paediatrics and child health within a community health approach. 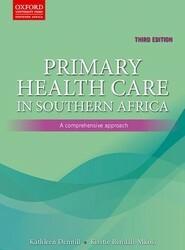 Primary Health Care in Southern Africa: A comprehensive approach 3e focuses on primary health care, drawing on an Integrated Management of Childhood Illness (IMCI) approach. It covers topics such as international views on primary health care, community participation in health care and communication in health care. 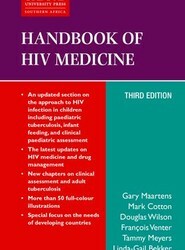 Handbook of HIV 3e provides a concise guide to all aspects of HIV management in the context of sub-Saharan Africa. It covers a broad spectrum of topics from diagnostic and management approaches to the common manifestations of HIV in both adults and children. The handbook has been written in particular for reference in the hospital ward or clinic. It provides key information on HIV and on antiretroviral therapy.